Can I customize DNA Center to suit the needs of my organization? Yes. Cisco recently made DNA Center open source, giving programmers access to its APIs. Its resources for developers include the DevNet DNA Developer Center, which is a site with tools and software development kits (SDKs) for developers to explore the DNA Center platform, and the DevNet Code Exchange, which is a code-sharing network with code samples, adapters, and SDKs. What types of APIs does DNA Center offer? Multivendor SDKs—These allow interaction with network equipment from different vendors. Intent-based APIs—These enable continuous network alignment that adapts to your enterprise’s changing needs. Integration APIs—These allow integration between Cisco and third-party IT and network systems, streamlining IT operations across domains. 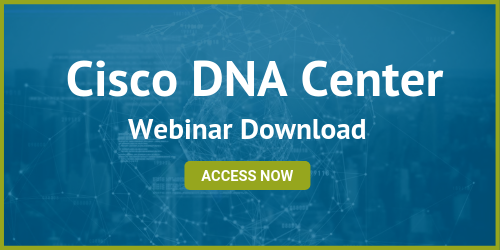 How does DNA Center integrate with existing Cisco solutions such as Meraki? DNA Center integrates well with Meraki because it integrates the Meraki dashboard, combining Meraki simplicity with the power of DNA Center to handle complex network functions. Other solutions may require an upgrade. For example, firms currently using the Cisco Application Policy Infrastructure Controller Enterprise Module (APIC-EM) can migrate to DNA Center by following Cisco’s upgrade path, which allows users to import APIC-EM configurations into DNA Center. It’s a seamless migration that allows APIC-EM users to benefit from the enhanced features of DNA Center, including DNA Assurance. What is SD-Access and how does it relate to Software-Defined Networking (SDN)? SD-Access is Cisco’s SDN technology. It’s the foundation of DNA Center, creating a single network fabric and enabling end-to-end visibility across your network, allowing easy policy provisioning and task automation. It enables quick network access for any user or device without compromising security. How is Cisco DNA Center’s security approach different from traditional security protocols? DNA Center builds on the traditional security approach, which is typically focused on perimeter defense through firewalls, intrusion detection, access control, and VPNs. This security approach is challenging to maintain in the face of the exploding number of endpoints created by IoT devices. DNA Center allows you to monitor all the activity across your network. Your network data is collected and analyzed by Cisco tools such as Stealthwatch. Stealthwatch uses machine learning and behavioral modeling to mitigate threats. It detects advanced threats, including malicious patterns in encrypted traffic, which firms can easily view in the DNA Center dashboard. DNA Center also takes network segmentation several steps further. The fabric woven by SD-Access allows for microsegmentation, enabling firms to easily separate different user groups. Cisco Identity Services Engine (ISE) also helps to drive microsegmentation by allowing you to easily set up user groups. Firms apply policies based on user groups rather than by IP addresses, streamlining provisioning. Current segmentation approaches, such as VRFs, VLANs, and ACLs, are labor intensive and vulnerable to human error. SD-Access simplifies microsegmentation, hardening security without burdening your staff with complicated manual tasks. How does DNA Center enable adoption of IoT devices? Insights—Firms can easily locate and track assets on any part of their network. Scalability—SD-Access can be expanded to include Operations Technology such as industrial-grade network equipment. Security—Cisco ISE automatically recognizes and classifies devices according to the policies you’ve put into place. What services can help me develop a strategic plan for integrating Cisco DNA Center? Assess their current infrastructure—They can make recommendations regarding what hardware may need to be upgraded or replaced. Develop a strategy—They’ll review the needs of your business and look at how to best integrate DNA Center to meet the needs of your network. Deploy DNA Center—Acadia Technology group will deploy DNA Center in partnership with your internal IT staff, ensuring a smooth transition. Acadia Technology Group’s experienced engineers will provide your enterprise with an integration roadmap, ensuring that you’re able to realize all the benefits of DNA Center, including reduced operating costs and improved network performance and security. 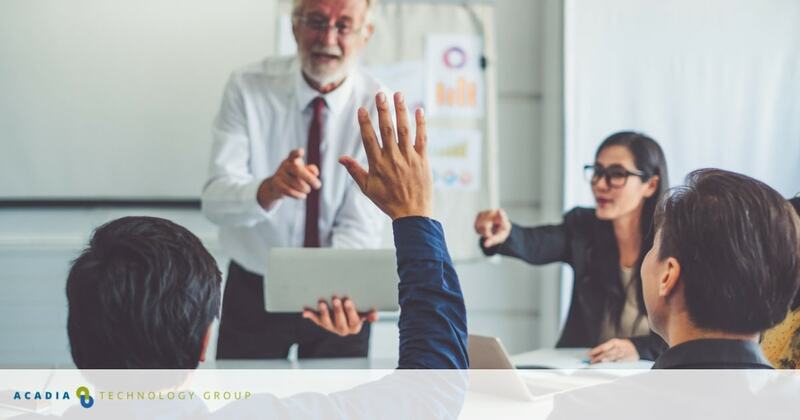 Contact us today to get started with your enterprise’s transformation.